Like so many cancer stories, this not a simple one. It involves conventional treatments that don’t work out, but it ends with natural treatments and a happy cat! This story is a big deal to me because I lost a cat to high-grade (large cell) intestinal lymphoma. While low-grade lymphoma is more treatable, cats are not known to survive high-grade lymphoma. Even with intense chemotherapy, the best we were told to hope for was 6 – 9 months. So I always have my ears open for helpful cat cancer healing stories. When I heard that a woman in Illinois named Connie Fischbein had a story to share (complete with pictures of the oncology scans), I set up an interview as fast as I could. 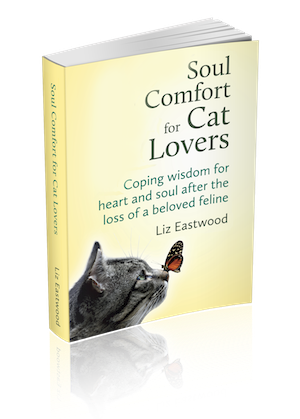 I was stunned to learn that her cat had survived high-grade intestinal and kidney lymphoma. 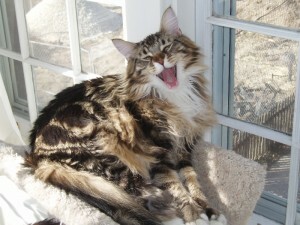 I could hardly wait to hear how her 7 year-old Maine Coone, Nate, pulled this off! Note: All the resources that worked for Connie’s cat are listed at the end of this (long!) article. LIZ: First of all, I want to know all about Nate’s initial diagnosis. CONNIE: It was in the small intestine…he had been vomiting and losing weight and I had been going back and forth to the vet…I was leaving for work one morning and he hid under a chair, something he would never do unless there is something really, really wrong. 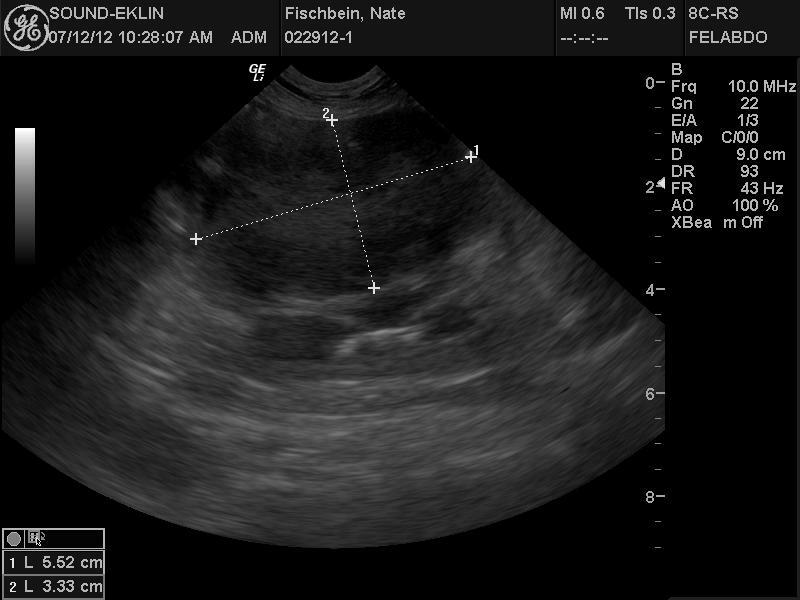 I ran him up to the emergency clinic… he had an ultrasound. There was a tumor in his small intestine…it was removed surgically, they tissue typed it and gave me some options for chemo… We started him on the treatment that I thought would be least stressful for him….Lomustine [oral chemo]. LIZ: What did they do with the surgery? CONNIE: They basically removed the tumor [it was blocking his digestion]. And resected the bowel. LIZ: And what happened after that? CONNIE: Within a couple of days he was pretty much eating his regular diet…And then 10 days later I brought him in to get his stitches out and that was when they started the oral chemo. LIZ: I don’t think I was given surgery as an option. I don’t remember that ever coming up. CONNIE: Well this was a single tumor. I know there are some forms of lymphoma where it’s more diffuse and it’s not that easy to remove surgically. LIZ: The word “diffuse” does sound familiar. Maybe that’s what it was. So then Nate started the Lomustine. And what was that like? “After his first Lomustine dose I started looking online for alternative therapies in case the chemo didn’t work…I spent hours just searching, trying to find [good] products. I found a cancer support product called ES Clear…it’s supposed to help with side effects from chemo. At work there’s a database I can use where I can look up interactions of some natural medicines and conventional medicines…and I didn’t see anything that was going to be a significant interaction. I talked to the oncologist and he was fine with it too… With the ES Clear, Nate really seemed to perk up and had less diarrhea and less lethargy after his chemo doses. I saw a vet online recommending a product from a company called Vitality Science. I talked to LeLa and to Steven Becker there. The whole approach was the opposite of the approach that conventional chemotherapy is about. Conventional chemo is all about suppressing the immune system and killing everything basically. Cancer cells metabolize faster so they absorb these toxins more readily, but pretty much every organ system is affected. But the alternative approach is to boost the immune system, give the animal a chance to heal itself. CONNIE: Nate did well for 5 rounds of oral Lomustine. He had his last dose at the beginning of May 2012. But at the end of that month we had a routine scan and unfortunately it had come back in his kidney. It was like a small 1.5 cm tumor at that point. LIZ: How many months was he on the Lomustine? CONNIE: Five. He was diagnosed early January and it came back at the end of May. LIZ: It was the same high grade, large cell lymphoma – but this time in the kidney? CONNIE: Right. And so we tried Elspar, which is specific for lymphoma. But the cancer was resistant. It just kept growing. So the week after that we tried [another drug] I wasn’t thrilled about. Heavy duty chemo. It was given by IV and made him sick…He wouldn’t eat from his food dish and became lethargic. His white blood cell count dropped and he was placed on prednisone and antibiotics. “So we were just watching his white blood cell count every week. About 2 or 3 weeks later it came up enough but the tumor…didn’t shrink. And then it started growing again so we tried one last resort called Palladia. 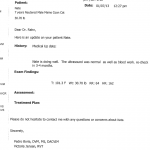 ….But after 2 or 3 doses of that oral medication, he was vomiting and then he stopped eating. Since he wasn’t eating, I ordered a product (Feline Granular) that you mix into his food, which he absolutely loved, and it got him eating again. He was still taking ES Clear. “About three weeks later we took him into the vet for a scan and surprisingly it has shrunk over 30% and he was…almost strangely energetic. I thought there was something wrong with him. I was like, “What’s going on? He’s acting weird.” It turns out this tumor is shrinking. I brought him back three weeks later and it had shrunk another 30%. Both the oncologist and I had been skeptical before starting these alternative therapies. The oncologist was very surprised by the results and I was kicking myself that I hadn’t tried them earlier along with chemo. I brought Nate back a couple months later and the tumor was still shrinking. 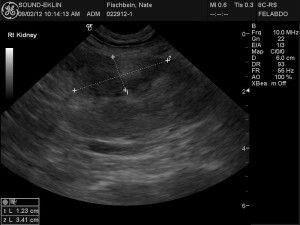 Not quite at the same rate, but it was still moving in the right direction and then I think his third scan was in October 2012. CONNIE: Yeah. He gained weight… and he had another scan at the end of February…The scan was clean everywhere. His gut and his kidney and all of that. His recent scan [May 1st] was also completely clean. LIZ: I’m blown away that even though Nate went through some really intense chemo his body was able to get rid of the cancer when you stopped – even though chemo breeds stronger cancer cells. CONNIE: He wasn’t quite 7 years old when he was diagnosed…he had that going for him… And I think I got lucky with finding Vitality Science. I think those products probably made the biggest difference…there are ingredients that specifically have anti-cancer properties. And immune boosting properties. I think that was the big gun. Although it’s hard to say because there are no controlled studies. LIZ: The tumor shrinkage you saw in late July – the doctor did not think it was from the earlier chemo, correct? CONNIE: Correct, he had a scan after the chemo; it was still growing, not shrinking. …In fact, Nate’s oncologist was very excited about what happened with these herbals, so he now recommends it to his clients who don’t respond to conventional chemo. Important Note: Only after a number of clean scans did Connie begin to taper down the alternative therapy doses that Nate was taking. I learned the hard way that this is essential. With cancer treatment, especially after chemo has been used, the strongest tiny cancer cells are the ones that survive, so if they start growing again they can come back with an unstoppable vengeance. For this reason, I would continue periodic cancer scans and have my cat on a maintenance dose of an alternative therapy for the rest of his or her life. Connie used a number of supplements – “the kitchen sink” – as she joked, so it’s hard to be sure which ones made all the difference. But, she suspects the Advanced Immune Restoration for Cats and Tripsy may have been most essential to Nate’s healing. Advanced Immune Restoration for Cats – An anti-cancer combination of enzymes, probiotics, green algae, and essential nutrients for immune system; herbal anti-inflammatory and anti-parasitic; fish oil, krill oil, Astaxanthin (extracted from Haematococcus Pluvialis microalgae), and natural vitamin E.
Pet Flora – When Nate stopped responding to the metronidazole for his chemo-related diarrhea, Connie tried this special soil-based probiotic, which cleared up his diarrhea in 24 hours. I just got this update from Connie. Nate is still cancer-free after 4.5 years. She wrote: “Nate is doing very well (knock wood). He and his sister celebrated their 11th birthday this past February. Still can’t believe he’s a 4 1/2 year survivor. I feel like everyday with him is a wonderful gift. “ Connie added that she now gives Nate some new supplements recommended by his new holistic vet and she also performs Reiki energy healing on him from time to time. Nate lived nearly 6 miraculous years past his terminal diagnosis, to age 12.5. By his own choice (he refused to consume the supplements anymore), he had been off his original healing protocol for a couple years when the cancer came back. Beloved Nate lived several years beyond his prognosis and we honor and thank him for letting us share his amazing story. 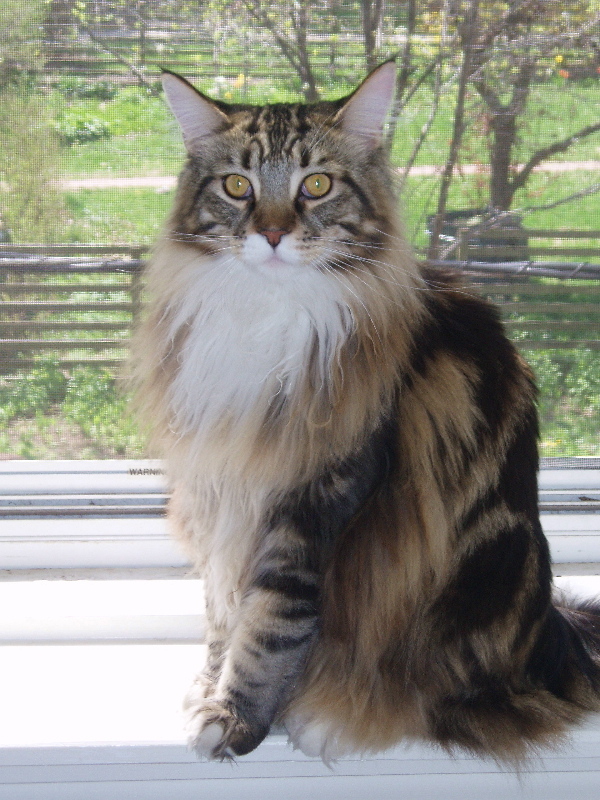 Does anyone have experience with Liver cancer and and what to give the cat for that? Our cat, Tobey, is an almost 3yo male tabby and was recently considered by our vet to have gastrointestinal lymphoma. We do not know this for certain as we have not had him biopsied. Prior to taking him to the vet, we had noticed that he had a few days of bloody diarrhea, was seldom eating and had lost weight. Ordinarily, Tobey is extremely energetic, running, playing, loving and licking his plate clean. We began force feeding him wet food mixed with water from a syringe. At the vet, he had lost 3 pounds, down to 10 lbs from a lean and muscular 13 lbs (over the course of a three week time period) and had a very high fever. He had been there earlier that month, for his yearly check up and was deemed to be in great health. Blood work was not done at that appointment but he had a Feline Leukemia (w/RCP) injection. 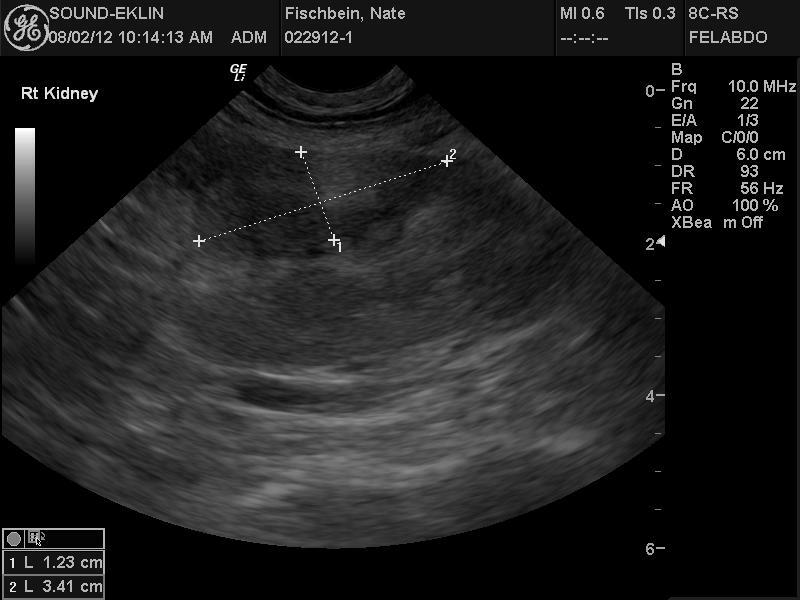 The vet did an x -ray, blood work, tested for Feline Leukemia, FIV and FIP (which he was negative for all three) but suggested that we do an ultrasound as he had ascites. 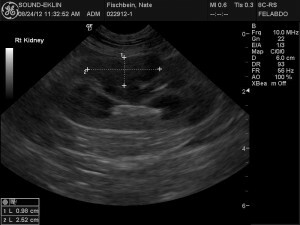 When she did the ultrasound, they discovered thickened intestines, and inflamed liver, kidneys, spleen and enlarged lymph nodes. There were no visible tumors. Having done some reading, my first thought was that he could have a severe case of IBD that may or may not have transitioned to gastrointestinal lymphoma. Tobey has had issues with allergies in the past (rodent ulcers) and has been put on prednisolone before – thus IBD made sense to me as he has previously shown external signs of allergies and now is showing internal signs of distress. With that in mind, we changed his food over to a novelty protein diet of rabbit or duck and are considering switching him to a raw diet. He is eating his new food well, so we aren’t sure if we should switch. Additionally, he is currently on .3mg/mL of buprenex twice daily (for pain), 5mg of Prednisolone once daily, .25 mL vitamin B12 once every week and we just started giving him LifeGold twice daily. Right now, he is eating and drinking moderately well and is not hiding, but is less active than his usual self. His is eliminating and deficating on a regular basis. I would appreciate any help/suggestions. We love him so much and he is so young – we want to give him the happiest and longest life possible. My cat died of aggressive high grade lymphoma a few years ago, but I did slow, reduce and reverse the growth of many of her tumors with CBD oil that I bought at a local store and Rick Simpson/Phoenix Tears hash oil that I made at home. Sorry for your loss . DI’d you do chemo ? Hopefully people still come to this wonderful page. My 13.5 year old cat smudge has bilateral renal and jejunum large cell lymphoma. 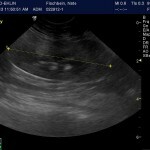 The intestinal mass is 4.5cm, but is not obstructing his intestines(as of the Ultrasound done 9 days ago). I chose to NOT do chemo as prognosis WITH chemo is less than 6 months. Oncologist at the vet school here says that even with full remission, reoccurrence is about 3 months after final chemo and not mention about $500 per treatment. He is on 10mg prednisolone(5mg 2x daily) for 14 days then he’ll go to 1, 5mg pill daily. He eats extremely well, poops and pees well. Overall, acting the same as he did pre diagnosis. Before the diagnosis, he had bloodwork and allergy testing(blood, not skin). I had this done because he had lost almost 2 pounds in a couple of months and was drinking more water and he had lifelong allergy issues. We thought he just had the beginning stages of ckd. Overall his bloodwork was unremarkable and very similar to bloodwork he had 6 months prior. His creatine kinase was REALLY high and vet said it indicated something metabolic was going on…and so there was. So, I started searching for alternative treatments. Not to cure, but to extend and enhance his life as much as possible. I’ve started him on petwellbeing Life Gold and spark food supplement, a great probiotic developed my Grace Liu(for humans as well as pets), colloidal silver(I had been giving him small doses to help with his skin issues) in larger doses in food and water, thorne fish oil, thorne pet curcumin, and nuleaf cbd oil. I had ordered petwellbeing mushroom blend, but it’s contraindicated for pets on immunosuppressants.the company told me that I could give to him, but to wait 2 hours after the pred was given. However, the half life for prednisolone is 2-4 hours(in humans), so not sure how accurate their info is. I’ve also ordered NVH ES clear and BK detox supplements but they haven’t arrived yet. I also have zeolite pure powder and ip6/inositol on hand. My issue is when to give all these things so they don’t hinder each other. I’m part of a Facebook group that claims that we should not be trying to boost immunity with lymphoma cats because lymphoma is a cancer of the immune system and that boosting immunity will help the cancer to grow. They state this as fact, but I’m not sure I agree with this as it seems to be opposite in humans. I’d love to try the ip6, but I’m afraid it would be detrimental to his already compromised kidneys. I had started him on a phosphorus binder when it was thought he only had ckd and I’m not sure if I need to continue with that or not. I’m also wondering if I can still give him the ip6 AND the phosphorous binder to negate the phosphorous in the ip6, but still get the benefits of the other ingredients. Nuleaf cbd is a challenge because he hates the taste of it. It smells like straight up weed. I’ve recently discovered that it should not be given within 2-3 hours of most other meds because it metabolizes in the liver in such a way that it prevents other meds from being metabolized. The zeolite may also interfere with absorption of meds from what I’ve read. He also had some possible gallbladder issues as the duct was slightly dilated and their appeared to be some sandy material in the gallbladder, so I have to go slow with the curcumin because it could cause stomach upset and gallbladder irritation. I feel like I need a pharmacologic degree to get these supplements in the right order and there’s not enough hours in the day to space all these things out. I’m lucky in that outside of the cbd oil, he doesnt seem to mind taking of any of these supplements. It’s only been 2 weeks since his diagnosis, but it feels like months. I hope I can come back here and report that it’s been years, like Nate. So confused about what to do next. It’s been 8 weeks since my first post. Smudge is now on 5mg pred 1x day. Since reducing the pred, he’s dropped the weight he gained. His interest in food has lessened and when he does seem to want to eat, he doesn’t eat much. I’ve even given him the dreaded fancy feast and sheba foods that are low to no carb. He likes them. But loses interest fast. Completely lost interest in his raw food.he still cuddles and plays and enjoys his leashed walks. I currently have him on 500mg ip6, 600mg inositol, 10 drops life gold 2x day, colloidal silver, zeolite 1-2x day, probiotic a few times a week. Because he won’t finish his food, I’ve been having to syringe the meds. I consulted with a holistic vet who wanted me to stop everything except the pred because she didn’t know what the other items were. She give me Wei qi and rehmannia. They’re capsules filled with the herbs, but they are fairly big for him and i can’t get them in his mouth nor will he eat in food. So that’s a non starter. I’m considering adding the vitality science regimen, but stringing him is hurting our bond and if I can’t get him to eat, it’ll all be for nothing. And ,I’m not sure when If I should be giving him any of this separately. I don’t know if I should give him the life gold with any new product i try. I was thinking of doing essiac tea. An already made concoction, not brewing myself. I’ve seen miraculous stories, and I’ve seen some people say it didn’t help. If anyone has any thoughts on this, I’d be very grateful. I had purchased nhv products but sent them back as I had already started him on the life gold and the ingredients were similar and I didn’t like that nhv had alcohol in the ingredients. If anyone has any ideas on how to get him to eat as well. I’ve tried bonita flakes, butter , stinky foods, lamb treats crushed on totop which helped for about a week, now he just wants the treats, without the food. They’re good treats, just lamb, lamb liver, lamb heart, kidney and pretty much that’s it. Thanks so much for the reply! I finally went with NHV products called lymphoma support. It’s 3 products which can be given together. 1 of them is the 4 ingredients that make up essiac tea. His appetite has increased and he doesn’t seem to be drinking as much water. I’ve also given him zofran 2x and regular pepcid 2x. That seems to help him as well. I haven’t had to give it to him everyday. He’s definitely eating more, but he does hate the 2x daily syringing of the meds. I’m going to try your way of syringing and see if it’s better. It’s pretty easy now but it is still making him wary of me. Just the act of doing it regardless if how easy and quick it is makes him run when I come toward him, but it is what it is. I do it at times where it doesn’t affect our cuddle time. So on the way out the door to work and an hour before bed. That way he doesn’t associate bedtime and cuddle time with meds. He is acting really great so far. I hope your kitty continues to do well. The only way I’ll know if the tumors are shrinking is with another $400 ultrasound, which I may get at some point, but not anytime soon. His hair is finally almost grown back from where they shaved him last time. I am curing my cat and it’s working. My 16 yo female indoor/outdoor cat began throwing up 6 months ago. It increased and she was losing weight and couldn’t eat. She’s been on Nulo dry food for years. I don’t go to the vet, but she looked to be soooo sick that I needed to take her as she was suffering. They did tests and her kidneys, thyroid, glucose were all fine, but her coat was dry and she had stopped grooming. They palpated a golf ball sized mass in lower abdomen and thought it likely cancer. I refused steroids or further testing. I’m an MD and highly interested in natural/holistic treatments. I started giving her high dose CBD oil for humans. She was only eating a few treats and liquidy foods per day and drinking from sinks excessively. She refused CBD so I began to give a small dropper full 2-3 times a day by force in her mouth. Did this for about 3 weeks and it helped with appetite and vomiting some. She really did not like this treatment, so I began to put it in upper back to absorb via skin. She lost her hair there after few weeks, so I began putting on the thin skin of her ears, but those lost hair and got fragile looking too. If I could’ve done a suppository, that would’ve been my next attempt. After two weeks or so on the ears, I just stopped. She was skinny and greasy, but eating a bit better and vomiting much much less. Few weeks later, I gave her a bath, her hair all grew back where CBD oil had been ad she’s been gaining weight ever since. I had also switched her food to a variety of Primal dry stuff you add water to, and high end wet foods with added warm water. She has been doing incredibly well, vomits seldom, keeps her fur soft and groomed, is hungry, no longer emaciated, goes outside again, toilets appropriately, etc. Change of foods, CBD oil high dose human grade, and attention is all that I did. No vet recommended tests or treatment. I don’t feel a mass, but I’m also not routinely trying or skillful at that. I figure that it must’ve shrunk a lot, but might still be there. She looks 90% better and I’m wondering if her body will continue in healing her. I feel that it is truly a miracle of nature, which is what we can potentially unlock when we use natural cures. Hope this helps someone. Hey, guys. My 9-year old cat was diaognosed with kidney lymphoma in December and started a treatment of subcutaneous Viscum Album Pini (pine tree mistletoe) + Equisetum (horsetail) – anthroposophic medicine. 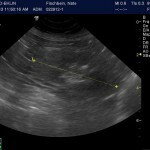 In April, a new sonogram did not detect lymphoma, and his blood work is almost normal. HIs kidneys are still deteriorated but it’s not lymphoma. I don’t know if it will keep improving and I don’t know if he ever had lymphoma or was wrongly diagnosed. But he is much better. Just wanted to throw that out there. AT, where did you get it from and what dosage do you use? Thank you so much! Our 8 year old cat Mickey was just diagnosed with a huge baseball sized tumor encasing his intestines, once we saw it on the x-ray there was no point in further testing to find the type. Mickey was symptom free until a few days ago when he started to show signs of weight loss and lethargy. We know he only has a few days left at this point. The vet wouldn’t give us any treatment options other than to say our goodbyes. I don’t have any right answers, but I’m been watching a lot of episodes of “Desperate for a Miracle” on Z Living, and there are numerous people that have advanced stages of cancer that have gone into remission and shrunk tumors to nothing with natural remedies. Depending on your gut feeling and budget, maybe get a second opinion and/or start him on some natural remedies possibly paired with a steroid? My 9-year-old cat has lost weight and after a blood test, my vet ruled out thyroid issues. He said her blood work looked fine and that she could have an autoimmune disease or cancer lurking somewhere. What natural treatment should I start without a clear diagnosis? Thanks! Look at the NHV site or e-mail them to get their suggestions. I wouldn’t advise getting totally off of the steroid if the vet is recommending it. My cat was diagnosed with lymphoma and had severe breathing issues. Is on prednisolone and steroids also. I self-prescribe 0.2ml of CBD oil on a morning and same on a night with a syringe. I am using Charlottes Web Everyday Plus natural oil flavour and he doesn’t mind it at all. Difficult to get hold of this brand at the moment in the U.K. but any brand with a high concentration of CBD is worth it. After 2 weeks his breathing has stabailised and is looking very good. Can’t tell if it’s the chemo, steroids or the CBD, but something is working it seems. Fingers crossed 🤞 for you too. Just try it. Really worth it. My cat survived duodenal adenocarinoma along with lymphoma. The key was having the lymph nodes burned out with a forced triad ligasure along with one round adriamycin. Alive and well 3 yrs later. Hi all, my 14 y/o cat Enzo has a bump on his nose, I took him to the vet and he referred me to the animal cancer care center. After crying for 2 days I took him there and by looking at him the doctor told me it could be cancerous or lymphoma, she took a sample for the lab but she said she looked at it and her concern is that it is lymphoma. My cat is acting normal, eating well, drinking well, playing as usual, little skinnier but he is very active, so except for the little bump you can’t tell he has such a bad disease. The doctor gave me steroids for him while we wait for the lab results and treatment. I am not convinced I want to do the cancer treatment on him because I feel that more natural ways will help better. The doctor told me the treatment will give me 1 to 2 years more with him but that’s it. Could you please tell me what you recommend me to do with Enzo? Not sure if I am so stressed out but I am confused as to what I should do, but I don’t want him to go through chemo and/or radiation, I would do it for sure if it guarantees he will heal, but they just told me it won’t, so I want to try something else. Please tell me. It is not too late, he is fine, so I have to act quickly and make no mistakes. PLEASE. Thanks so much! Don’t be discouraged-Storm has and has had gastro instestinal lymphoma and the vet told us to expect about six months or so, its over 4 years later. I’ve added the Life gold to our daily herbal attack along with the other stuff and we’re holding thumbs.I think she’s 14 years old this year (and still looks like a little kitten). Can you tell me what other stuff you did? My 13.5 year old cat has renal and intestinal lymphoma. Opted to not do chemo. He’s on prednisolone. I’ve read that lymphoma should not be treated with anything that will boost immunity. That’s controversial. I have just started him on life gold. Some things seem to be contraindicated to use while on pred. I’m terrified to take him off the pred. He’s only been on it for 1 week. He’s on 10mg for 2 weeks, then it will be reduced to 5mg a day. I’ve also started him on nuleaf brand cbd oil. Not sure what dosage to give him. Whatever I can manage to get down his throat. I’d say 3 drops 1x a day. I’ve considered starting him on thorne brand curcumin for pets, zeolite powder and ip6/inositol, but I have concerns that the zeolite will void the prednisolone and I had concerns over the ip6 as well, but can’t remember why now. I wanted to start him on Pet Wellbeing mushroom blend for cancer, but it states it cant be used with immunosuppressants (such as prednisolone) so I have held off doing that. I’m desperate for help. I’ve contacted a holistic vet in my area, but she’s on vacation!! Sheila, my cat had basically the same condition. I kept him on the prednisolone along with a regimen of 5 NHV products, I was able to get an additional 9 months with him before he passed. Look it up with people lymphoma – it’s all about boosting the immune system. Contact NHV and they can recommend products specific to your cat’s sickness. Hope this helps. Thank so much for responding. I’ll definitely do that. I can only pray that I get 9 more months from him. Outside of weight loss and increased thirst, you wouldn’t know he was sick. That’s what’s nice about the NHV stuff, you can either shoot it in their mouth like the liquid steroid or put it in their soft food. Because it was a kidney issue, I did take my cat off of any soft food containing fish, it’s supposedly high in phosphorus which is not good for kidneys. If you get multiple NHV products don’t be afraid to mix equal parts in a separate vial, so it’s easier/quicker to administer. Yeah, the thirst part is bc of the steroid/kidneys. Just stay consistent with the steroid and NHV products, and I’m confident you will get more time with your baby. And if he does start looking better, don’t get overconfident… keep on with his regimen. Feel free to ask any more questions! I used the mushroom NHV one as a part of my regimen and didn’t hear anything bad about using it, “Natures Immuno for Cats”. Funny enough, I take a people version of it in powder form that is made of the exact same mushroom complex that I put in my morning protein drink. No, I didn’t hear about the CBD stuff until towards the end. When the cancer came back, it came back very fast and strong, so I didn’t even get a chance to adjust any of his regimen. Part of me worries that it was my fault, because I started giving him a couple skip days during the week on his steroid, because he hated taking it and seemed to be doing well. Yes, I saw that post too. I haven’t delved into it yet. I was under the impression that mistletoe couldn’t be had in the USA, but that could be for just humans. Also. How much pred was your cat on? Mu cat is on 10mg for 1st 2 weeks, then down to 5mg once a day. I’m terrified of going down to 5mg, but I know the pred could have bad effects eventually. I can’t remember because my syringe had a little mark on it, but I am fairly certain it was the 5mg once a day. Hi there, I’m currently on the hunt for a cancer treatment for my beautiful 11 year old boy named Garfield. We recently found out he has a mass in his colon, my vet has never seen this in a cat and only twice in dogs (he’s been a vet for over 40 years). I’m very hesitant to put him through the invasive resection surgery and chemo as the cancer seems to always return. As I did my research I stumbled upon this article and for the first time in a long time, I felt hopeful for my boy. I sent it to my vet and now I’m waiting for a response. Would this combination work for any type of cancer? We’re not sure what type of cancer it is, and I’m hesitant to biopsy because the area is very raw and irritated. The less I can put my boy through, the best. What dosage were you giving him as a cancer treatment?? And how long until you saw results? We lost our 16 year old tabby to intestinal lymphoma. We tried prednisone. We also tried ES Clear and Turmeric. He lost his appetite and had diarrhea for awhile. Then, he was constipated and not eating. It was so hard to see him go through all that, and the medicine did not seem to help much. Hi all, So so sorry to hear that Sarah. Stormy had lost weight again, four years after her initial diagnosis of intestinal lymphoma, and three year’s after her being in remission. I took her in, they did blood urine and a scan. He didn’t find anything. She lost another 600g in a month there after. 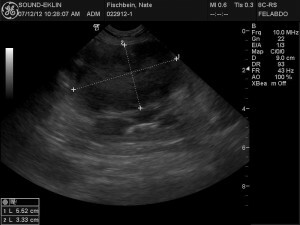 The recommended either a follow up scan or a scope. We did the scan and I dunno how they missed it the first time, she’s got a 1cmx2cm tumor in her stomach. 😢 So she’s back on the COP protocol. She has already doing better and gaining a little weight. I am interested to know what Connie (with her cat Nate who survived high grade lymphoma) was feeding Nate, especially during the time he was on the natural treatments and started to get better. Margie: I would like to know as well. Thanks for asking that questions. I just found out yesterday that my 11 year old red tabby, Izzy has lymphoma. They didn’t get a large enough sample in the biopsy for it to be 100% conclusive but also determined that it couldn’t be anything else. A week ago, out of the blue he looked not well in his eyes and became very lethargic. Nearly $6,000 later, we now have a diagnosis. We’re happy to have him home after two nights in a hospital and are giving him fluids intravenously. Don’t think we can embark on chemo for financial reasons and after reading Nate’s story, not sure we feel right about it. Thinking like Sue, we may go with the more affordable Prednisone option and am inspired by the combo homeopathic supplements Nate’s owner used. It’s so shocking how quickly cats decline with cancer. Firstly sorry to hear about Izzy, this thread has been a great help to Storm and I. The chemo was really rough on her-she lost alot of her fur😟. I feel like I’m constantly mixing potions but I do believe in these products. Update on Storm: Storm got skinny again and was vomiting but I had to take her to the vet after a there was a red outline of blood in her vomit. He had a urine test, blood test and scan and there was no sign of anything. Even though we’re not sure whats caused the vomiting, I’m hoping very happy and praying that there is nothing to find. Shes eating very well and is her spritely little self. I think she’s gaining weight. Shes on antibiotics and hasnt vomited since. Oh I bought a new sample kit from Vitality science and it came with ‘comfort’ and ‘comfort plus’. I’m happy to be trying it as it contains pet flora and slippery elm so its good for her tummy. It’s a hard decision to make, but you have to do what’s right for you. My cat is a squirrely little guy and loves to play, I didn’t want to see him suffer through chemo in his last days, if the same outcome was inevitable. That’s not to say chemo won’t work for some situations. So far, a month after his diagnosis, with the Prednisone, NHV’s Tripsy, and NHV’s “Pet Cancer Super Support Kit”, he has been acting like nothing is wrong. Something interesting I found out while researching, is that it sounds like lymphoma in particular doesn’t react to steroids/chemo very well in people, so they typically prescribe a lot of immunity boosting type solutions. When you look up all the ingredients (yes I looked each one up one by one) in the NHV stuff I mentioned, a lot of those herbs help with immune system support. I’m no vet, and all I know is what I can find on the internet, but it’s interesting stuff nonetheless. Best of luck to you! Thanks so much for your reply! How’s your little guy doing now, over a month after diagnosis? We will take our kitty for a consult tomorrow with an oncologist to educate ourselves a little more but are intrigued by holistic approach along with Prednisone. Did you discuss with a holistic vet before starting the supplements? I see there is an online consult option with a vet on the NHV site. Also, got some samples of Hill’s Kidney Care food from the vet at ER where Izzy was evaluated and treated. She highly recommended these products and Izzy gobbled them up. Per the advice of a friend who rescues cats, I eliminated seafood flavors in his soft food because apparently, seafood is high in phosphorus, which is not good for kidneys. Right now he’s eating Friskies Pate (various flavors without seafood), and Fromm Hasen Duckenpfeffer grain free hard food (which he ate prior to the diagnosis). My ER didn’t recommend any particular foods, but I would say whatever keeps Izzy munching, keep doing it! Last Wednesday we took Izzy in to meet with an oncologist. While we’ve decided not to move forward with chemo, we did get him a one time injection of L-asparaginase. It’s not really considered chemo but works to fight and kill the cancer cells. We also started Lymphoma Gold last Friday. Between these two treatments, Izzy is doing great! Eating up a storm and playing with his sister Olive. Today he was the most back to normal he’s been since it all came down. Because the vet had initially given him a cortisone injection at his first visit when he started to act sick, we have to wait on starting Prednisone for a few weeks, until it gets out of his system. I will inquire about Lymphoma Gold being OK to take with it then I guess… Also, we’ve started him on Hill’s Kidney Care food (wet and dry), but you need a prescription from the vet to order it. We ordered from Chewys. We are so happy to see him rejuvenated a bit (for now) and are hoping for the best. How is your guy doing this week? I’m so glad I found this supportive animal lover network! It’s hard to find a lot of detailed information on this stuff on the internet, just chemo, steroids, and life expectancy, so it’s great we can share our experiences here 🙂 That’s great to hear he’s feeling good! So far, my little guy is still good. Month 2 is on the 26th. He seems kinda sleepy and more snuggly than usual, but that may be because of the cold weather. Especially since he is still playing and running when he is awake. It’s interesting how vet experiences can be so different. I hope your little guy continues to be doing well. We just hit the one month mark. Izzy got a Depomedrol injection two days ago (instead of daily Prednisone pill). We had to wait about a month for the first one to get out of his system. Despite his good appetite, lymphoma gold support and daily IV fluids, he seems to be getting thinner. A little alarming but we understand this is to be expected. Please let me know how everything is going when you have a chance. That’s too bad about getting thinner. Honestly, my guy still looks good. I’m very watchful over his eating and playing habits. How come you have to do IV fluids if he is eating/drinking ok? Since my last posting, Izzy is much better. I think the steroid injection has kicked in. His appetite is better and he seems more energetic, playing/wrestling with his sister! I think because of the dire prognosis, I’ve been hovering over him a little too much and of course he can’t tell me what’s going on! We’ve been giving him IV fluids daily since his hospitalization. It’s got electrolytes in it which they say keeps his kidneys in good shape. We’ve been doing lymphoma gold support twice a day as well. SO glad to hear your guy is doing well! 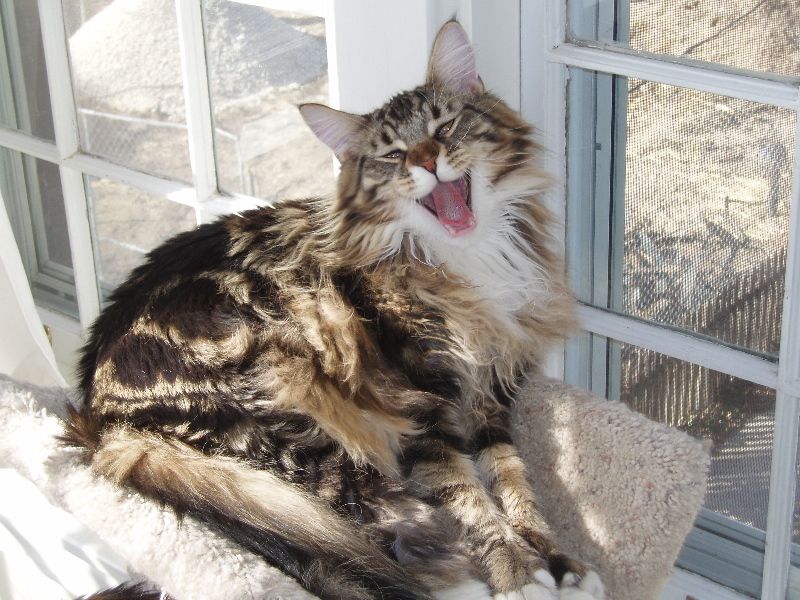 I so appreciate the natural cat care blog community! Suzie – Great to hear! Yes, I’m the same, over-analyzing every behavior. So far so good with my baby. He hits his 3 month mark in a couple weeks. Sarah – I’m sorry to hear about your fuzz. Did they suggest any different types of food? I know the steroid is supposed to increase their appetite. What was the duration from diagnosis until he passed away? I’m not sure if the NHV stuff is helping any more than the steroid by itself, but he is in a great spirit, so I’ll continue the prednisone, Milk Thistle, Turmeric, ES Clear, and Tripsy combo. Chere – Four years sounds pretty good after a diagnosis! What prompted you to take her in after 3 years of remission, the weight loss? I apologize if I missed it above, but what is the “COP protocol” you mentioned? Hi Sue, yup, she started vomiting again but only recently lost weight. The first time we took her in a month ago they said they didn’t see anything, only when I took her back now for a follow up scan they saw it 🙁 We took her for her second session yesterday and she seems better already. Still a skinny little thing but I’m giving the ES Clear etc etc so we’ll see. What is this Lymphoma Gold product?? Ask the company before you buy, because some of the natural ingredients don’t jive with chemical meds the vet gives. How is Izzy? Can you give us an update please? I have a question and not sure if this is the correct post. I have a 19 year old girl cat (Savanah) that has mouth cancer and her growth is getting bigger. She is eating and drinking her water. Hi there. My cat likely has cancer in his spinal cord or FIP. A couple of weeks ago I noticed he way laying down a lot. When he would get up he moved slowly. Then it looked like his foot was hurt and he wasn’t walking correctly. We bought him to the vet, and lab work showed pancreatitis but that didn’t explain his walking issue. Fast forward another week and he is dragging his hind legs. It’s like they don’t work. The vet said its likely lymphoma of FIP, but I cannot afford the MRI to check ($3-4k). He is still his happy self and is on pain meds and starting a steroid tonight, as a last resort. Alternative medicine helped me and I want to try it for my cat. He is 13 years old. I wondering if I should just get started on some of these supplements above and assume he has cancer. Any advice is appreciated. Thank you so much. Hi Alexa, as my vet told me when I asked, it can only help. Regardless of what it is I think the products help in so many ways I’d suggest it. I bought the finicy cat trial pack from Vitalty science and that has a little samples of some of the stuff mentioned on the thread as wells as others. One of the powders helps with pain and inflammation so that’d probably help too. Good luck. Thank you so much for your response! I ordered the pet cancer detox kit from NHV today that comes with 3 supplements. Hoping for the best! The symptoms of difficulty walking you describe are just as my cat had years ago. It is common with untreated diabetes. I see a blood lab was done for your cat and hope within it was a test for blood glucose levels to rule diabetes out? Diagnosing diabetes couldn’t be simpler, as that one test number will be high and then you know. You can probably call your vets office to get a copy of the blood work and see if blood glucose test was done and what the number was. Diabetes occurs very commonly in cats these days because instead of the table scraps and hunting diet of days past, their diets are mainly dry food. Cats are not built to eat carbohydrates in such high proportions and no matter how fancy and expensive the dry food, by its nature it is all carbs, carbs, carbs. Whereas any can of wet food will be healthier and provide higher protein and fat with less carbs, as their bodies need. A diet of at least 1/2 cup of wet food per day (plus dry for the rest) should probably be enough to avoid diabetes in a cat that doesn’t already have it. If you or anyone reading this ever has a cat that just seems to passionately love water, the first thought should be checking for diabetes. It’s one of the main symptoms a diabetic cat will show before other serious ones. Any cat can also be diagnosed at home if one is comfortable using a store bought glucose testing kit (same one used on humans is used for cats) and pricking the edge of his ear to get the sample. The internet can tell you all about how to do so and normal range, if interested. If he does have diabetes he should not be on steroids at any point, according to my vet anyway. Once my diabetic cat was eating only wet food and on insulin she was able to regain strength and mobility in her legs, though some permanent effects of damage can remain. My cat actually went in to remission for 3 years. I owe it to home glucose testing done in synchronicity with insulin treatment, along with a 100% wet food diet–(though I’ve since switched to giving her maybe 10% dry food per day for variety. Her happiness is very much tied to food). I understand all this may be totally irrelevant, as your dear cat may have problems with the spine causing this, but as you said the symptoms weren’t able to be fully explained, I thought this might be worth thinking about. I hope you and everyone here the best of luck with your cats. Jen, I just want to say thanks for your very thoughtful and helpful share. I love the good news about your kitty going into remission too. Hi, my cat (only 3 years old) was just diagnosed with renal lymphoma last week, and is on steroids (life expectancy 2 to 3 months on steroids). Does anyone have ideas on when I could integrate natural medicine noted in this article? Thank you for any input! Hi Sue. I’m sorry for your kitty. I just had to let my 11.5 year old cat go on Sunday. I did not get a chance to try anything here. His chest kept filling up with fluids and he was down to skin and bones, and plus he wasn’t eating much. We never found out what was wrong with him. Can I ask you how they determined it was renal lymphoma? One thing I did start giving my cat was extracted amygdalin (Vit B-17). I was only able to give three of four doses before I had to say goodbye. It came in 100 mg capsules. I had not idea how much to give, so I opened the capsule and gave him very little of it. He was becoming very difficult to pill, so I also put a couple of his pills in the capsule which made pilling him easier. I was doing research to see if others were giving their cats amygdalin, and I found they were. I bought mine from Apricot Power. Lisa, sorry to hear about you baby fuzz. Sometimes you’re not given enough time to react, if they are refusing to eat and aren’t on a tube, then you definitely did the right thing. My kitty was not eating any food (hard kibble, soft food, or snacks), but was still drinking. He was acting very lethargic. I took him into the vet after a few days this activity. While giving him the once over, they noticed a lump in the kidney area. They did an x-ray, and it still looked questionable. I was then forwarded to a specialist at an emergency vet location. The wait was sorta long to get him in (this was a Thurs, and they said they could see him Tues.). He was looking more rough, so on Friday I took him to that emergency vet as an emergency patient, and they were able to squeeze time in. Long story short is that they did a biopsy on the mass and it came back as renal lymphoma. He didn’t have FIV or FeLV, just unlucky. I don’t know if it’ll work or not, but I did research on the NHV products mentioned in the article, and they do sound promising. It’s worth a try. Right now, on the steroid he is eating normal, playing, and snuggling. I’m happy to have a few more months of quality time while I have it. Hello, cat owners, i would like to add to all this information that you can try also colloidal silver on your cats. I personally used to give around 3-5ml up to 3 times a day for my 7.5 lbs cat and there were no side effects except constipation that was resolved by probiotics and lactulose syrup. I did give this to her not for cancer, but for kidney infection though. She is 15 years old and more than two years ago i found small lumps on her belly and was pretty heavily treating her with IP-6 Gold (thank to this blog! ), Curcumin and Modified Citrus Pectin for more than a year. Over time i reduced doses of these things but she is still ok (although has one kidney very enlarged) and has nothing noticeable on her belly. I give her around 3 ml of colloidal silver (Mesosilver, 20ppm) a day just for maintainance to keep her protected from cancer and kidney infection. I also heard about good results from colloidal silver + ip6 protocol. Colloidal silver must be given on an empty stomach at least a half if an hour before food. Its almost tasteless like water and a cat should not mind swallowing it. I’ve never heard of having to give CS on an empty stomach. It works as an antibiotic, and I thought all antibiotics were okay to be taken with food. I’ve been giving 3 tablespoons a day with food and I’ve added more to his water bowl. I’ve also been using mesosilver, but have switched to 3 sisters silver as it’s more cost effective. 20ppm as well. I’ve read to not give the probiotic at the same time as CS because it would kill the good bacteria. Hi Sheila, i was reading all your posts how is your cat Smudge? Unfortunately, my sweet baby died on November 1st, 2018. I had to have him euthanized. Nothing helped him even a little bit. Maybe if it had been caught sooner. He died just over 3 months from the day he was diagnosed, which is pretty much what the oncologist told me would happen. I still cry weekly over him. If I had to do it all over again, I wouldn’t change a thing. I think he still would have died within 6 months even with conventional treatments and he would have been miserable. We had a wonderful 3 months together. Thanks so much for asking. I haven’t been able to come back to this page to catch up on anyone’s progress. We are waiting on the lab results for my cat, but we have already given the first round of chemo, assuming that is what it is. It was Vincristine which made him not act right the next day. he is already skin and bones. I believe in natural healing so I’m doing research. I have had him on the probiotics, but they did not help his diarrhea. Just two days after his first chemo, however, his stool has become more “feces” shaped and he has not vomited for over 48 hours how. We have him on Cerenia, though, for vomiting. If I order all these products mentioned in this blog, I do not know how much to give. Does anyone know anything about apricot seeds or Vit B17 given to cats? Hi Lisa, you’ll have to read the thread to get how much of the different drops and powder everyone used. My baby, Storm, was also skinny and we found out it was gastrointestinal lymphoma. I use the ES Clear, bk detox from NHV, I got a sample kit from Vitality science which I use the celloquent and superfood alot. I also got the pet flora from them too. They all have instructions, like the ES Clear I think says 1 drop for every 2lb/1kg but Storm is very fussy and I mix it in with her wet food so I usually will put a drop or three in a sachet of wet food, with a sprinkle of the superfood/celloquent/pet flora etc. That sachet of wet food is being divided over my 3 cats so Storm isn’t getting very much per meal, but that’s the only way I can give it to her. Some people syringe a mix straight into their pets mouths but I tried it once and landed up with fishy oily mix all over my couch and decided that’s not for us. I also got the ip6 & inositol premixed and artemisinin from iherb, which I also sprinkle in wet food. I just mix it up on a daily basis. Someone mentioned how many grams you should give on this thread but like I said, Storm will only tolerate so much. I believe you shouldn’t give the ip6 & inositol and artemisinin at the same time. Also I think the artemisinin is better at night. I could be wrong but that what I think I remember. The petflora helps stop the vomiting and apparently diarrhea, I recommend it. Its been 4 years since she was diagnosed and 3 years since we stopped chemo. I never stopped giving her this combo but I definitely slacked at times, especially with time. She’s recently started vomiting again so I’ve had to try be more diligent giving her everything. About the b17, I recently watched a video that claimed that cancer is just a vit b17 deficiency (like scurvy was for vit c). So that’s a really interesting point because scurvy killed so many and it was such a scary thing. So maybe cancer is a simple deficiency. But then I also saw a video claiming that that is rubbish. I’m willing to try anything though so I think I’d try sneak some bean sprouts or something chopped up into some food. Good luck, let us all know how it goes. Hi Chere. Thank you for your response. I just had to let my baby go on Sunday. His chest was filling up with fluids again and he just hadn’t eaten much in three days. How did they find out it was intestinal lymphoma? Did they do the lower and upper scopes and take biopsies? Did your cat get fluid build up in her chest? We had him fasted and prepped to do the scopes, but when the vet found the fluid in his chest, she was confident that we didn’t need to do the scopes. I will regret now telling them to go ahead and do them because now I will never know if it was or wasn’t. I did give my cat three or four doses of the B17 but just ran out of time with him. Whatever it was that took him, took him so fast. He was gone in about six weeks after he started dropping weight rapidly. How is your cat doing? Hi Lisa, I’m so sorry to hear that. With Storm she was really skinny and the vet did blood tests then a scan, where they saw a mass. Then we did a biopsy and found out about it. She had a tumor which they removed. Luckily we didnt have any fluids. I lost a furry baby to renal failure previously and it was also so quick. I regret letting the vet put her down. They say it was the right thing to do but I’m haunted by the choice because we didnt fight it. But sometimes its just the pain of the loss making you question your actions or lack thereof. Storm has recently gotten thinner and started vomiting again. This happened after I eased up on all the magic potions we all mention on this thread. So I’ve recently gone back to my cauldren and started dosing Stormy twice a day and she seems to have stopped vomiting. Thank you for asking. She’s been such a trooper and I hope she can always be a good example like Nate. How do you get your cat to take all those supplements? I looked into your protocol and it looks like 4 different liquids, twice a day. That is quite a bit of “pilling”. Our Larry is doing OK with chemo right now so I am only giving him Predisilone and ES orally twice a day. I really don’t think he’d tolerate me squirting more stuff into him. I’d love to know how you did it, especially since your Nate wasn’t eating at the time. Thank you. Our Arnie was operated for a potassium deficiency which would have killed him. However two weeks before his operation there was a significant weight loss and my wife and I thought it was this deficiency causing the weight loss. During the operation the surgeon found cancer and we’ve started the cancer treatment but we don’t know if it’s too late for him. He stopped eating (my wife is forcing feeding), he’s hiding and he’s incoherent. 1. Do we continue to fight? Hey Joe, I’m sorry I see no one responded to you. Whatever happened with Arnie? My Arnie died in May of this year the underlying issue was cancer. Please no condolence doesn’t help. I just needed advice and didn’t get it.